Happy Good Friday. Who's off for the Easter weekend? Are you looking forward to lots of Easter egg hunts and plenty of chocolate eating? 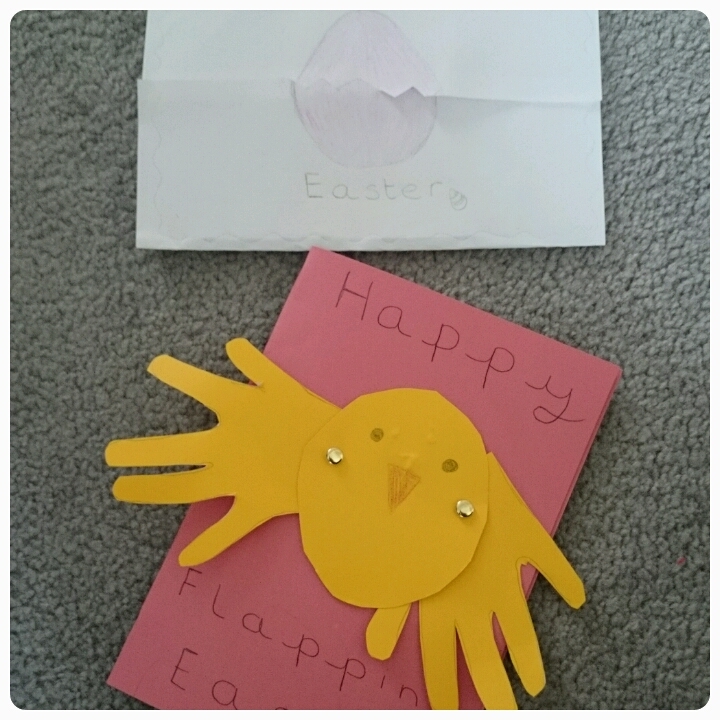 Easter is yet another time where we like to give gifts to others and I find it is another excuse to make some wonderful homemade cards, so here are a couple of quick and easy ideas for making those last minute Easter cards with your kids. You will need to pieces of paper/card for this. 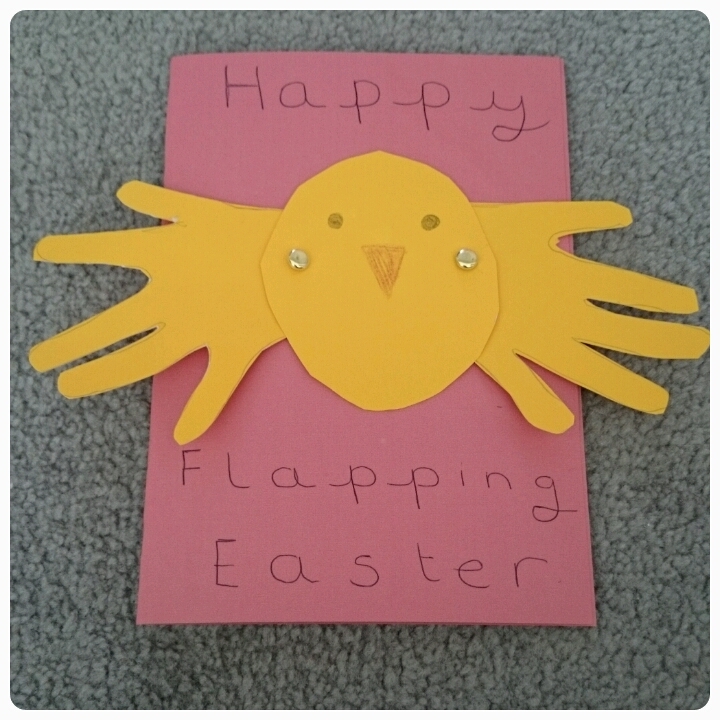 One for the actual card and then a yellow piece to make your chick. On the yellow piece of card get your child to draw round their hands, they also need to draw a big circle. On the circle draw eyes and a beak. Cut out the wings and the body and then attach the wings to the body using split pins. Fold your remaining piece of card in half and then attach the chick to the card by pushing the split pins through the front of the card. Write whatever you would like on the front of the card. You need one piece of paper/card, colouring pencils and a pair of scissoors. Fold your piece of paper over on both sides, making sure that the bottom fold slightly overlaps the top one. 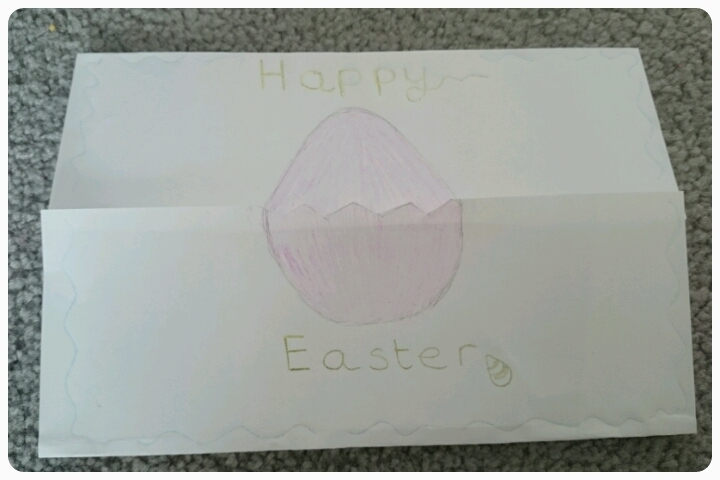 Draw your egg in the middle of the card and then cut a zig zag edge along both the top and bottom halves of the egg. All that's left to do is colour it in and pop your Easter message on there.